Ever since the election of Pope Francis last March I have frequently been asked what I think of him. The answer is always something like "Tremendous" or "Amazing" or "Wonderful". I have also found myself almost daily finding something that he has said that I find uplifting and/or challenging for my life as a priest and religious. What I would like to do here is offer more than a one-word answer to the question of my impressions of this wonderful pope. The first thing that we need to understand is that Pope Francis is not changing any core belief of the Church. What he is doing is offering us a new vision of Church, a new way (actually a very old and traditional way) of living as the People of God, the Body of Christ. What are some of the hallmarks of this new vision? 1. Pope Francis is inviting us to lead with the proclamation of the Gospel rather than with the pronouncement of moral teachings. This confuses some people on both the left and right side of the spectrum because they think that he is about to change, or is undermining, some of our moral teaching. He is not doing that. What he is doing is saying that if we don't first proclaim the Gospel message of mercy and love, especially love for the poor, then our moral voice is weakened. 2. 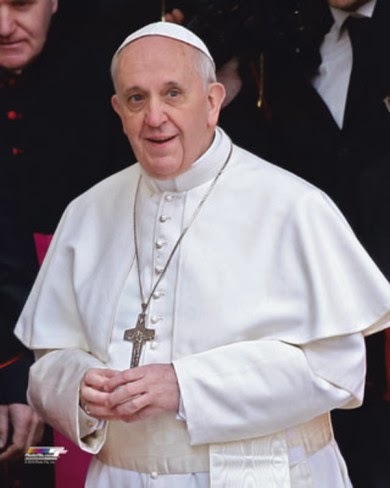 The Holy Father has indicated right from the beginning that he intends to put more into practice the spirit of collegiality and collaboration that was fostered by the Second Vatican Council. He has done this right from the first day of his papacy when he continually referred to himself as the Bishop of Rome. Everyone knows that the pope is the bishop of Rome. There is nothing earth shattering about that. By highlighting that fact, however, he is saying that he is a bishop among bishops. He is also highlighting a very ancient theology of the papacy which says that he is Pope because he is bishop of Rome, not the other way around. Think about that one. Also by appointing the group of eight cardinals to consult with him on church reform as well as the committee to assist him with financial reform he is clearly indicating that he does not want to go it alone on important matters. 3. Related to the first point mentioned above he is calling us to be a Church of and for the poor. Exactly what does that mean. I don't think that it necessarily means handing out more money to the poor so much as making sure that we journey with the poor in their struggles and understand how life is with them, what their struggles are. He did this as archbishop of Buenos Aires and he is doing it in Rome as well. That is certainly the message of this Sunday's Gospel with its parable of the poor man Lazarus and the rich man. The rich man's sin is not his lack of generosity. It is his lack of awareness. Pope John Paul II pointed this out in his Yankee Stadium homily on his first visit to the US. I see the need for this challenge when I say Facebook postings calling undocumented people criminals or calling for drug testing for food stamp recipients. It is not that these issues are not concerns but rather the complete lack of awareness of the struggles that most immigrants and poor people go through. It is easier to demonize whole groups based on the sins of a few, but if we walk with people and hear their stories I think that our approaches would certainly be different. 4. Uniting all of this together is his example of humility and his call to church leaders to be servants. How often have people been greeted by us priests and other leaders with regulations and policies rather than by a kind word. It's not that we have to eliminate regulations and policies but rather the way that we present them. One priest that I met made a good suggestion in this regard. He said that when someone comes to his parish office he first introduces himself, then asks them about their lives and their faith and only then asks, What can I (we) do for you?" He also said that he always looks for a way of fulfilling a request before he says "No". Pope Francis has really challenged us in this regard in both word and example. He has also called for more bishops who are pastoral and who walk with the people. I'm sure that there is more that can be said but that is my take on this wonderful new successor of Peter as Bishop of Rome. 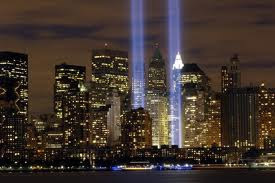 I remember very well where I was on September 11, 2001. I was preaching a retreat to a small group of priests from the Stigmatine Order at their vacation house on Cape Cod. As the news poured in that day I asked them to pray especially for Fr. Mychal Judge, a member of my province. I knew that Mychal, fire chaplain for the FDNY, always had to be where the action was. And indeed that was true as later that day I received an e-mail that he had perished while trying to assist firefighters and others on that day. We friars were both saddened and proud because of the role that he played on that terrible day. It is now 12 years later and we are not even close to being done with the consequences of that act of terror. I offer some thoughts on where we might go from here, thoughts not based on politics, but rather, as a Franciscan, on where the Gospel calls us to go. I am on Facebook, as many of you know, and that social medium today is rightly filled with "Let us never forget" messages. I have no problem with that. We should not forget. At the same time as we look back to that horrible day we need to ask, "Where do we go from here?" I believe that this is an important question to ask if we are not to be mired in decades of attempts to put out every fire that gets lit in the Middle East. In his recent calls for prayer and fasting for peace in Syria (a word on that below) His Holiness has also called for dialogue. Every time that I have mentioned dialogue with Muslims I get some people suggesting that I am naive. To be sure there is probably little chance of dialogue with extreme Islamic terrorists.. I am talking however about serious dialogue between those Muslims and Christians who desire peace. Pope Francis has set a shining example with things like his Ramadan message to Muslims. By finding common ground with moderate members of that religion I think that the extremists will become more isolated. One of the friars from my province, Michael Calabria, OFM is engaged in Muslim and Arabic studies and often offers very insightful thoughts on his Facebook Page. We are now concerned about Syria. I am finding a lot of knee-jerk reactions to that situation from both the left and the right. While I do not agree at all with president Obama we need to understand that a boots on the ground war is not being proposed. Also complicating the debate is the fact that not all or even most opponents of Assad are also Al-Queda. The real issue is the use of chemical weapons and the real question is what is the best way to denounce that? Missile strikes could trigger a wider war, as many have pointed out, and still leave WMD's in place. For the world (not just the US) to say nothing about the atrocity is unconscionable. The fact that Russia and France have stepped in with plans to have Syria turn over those weapons in an international forum (perhaps the UN) offers hope that Pope Francis' day of prayer is having its effect. Finding a way for the world to strongly oppose the recent use of chemical weapons without using further violence might provide us with a way forward in the Middle East in general. I am certainly no expert on these matters. I am simply a Franciscan Friar who in the spirit of our founder who dialogued with the Sultan 8 centuries ago, desires peace and an end to violence. Indeed let us never forget 9/11 and let us honor the fallen by seeking to build bridges of peace even as we defend ourselves from further terrorism.